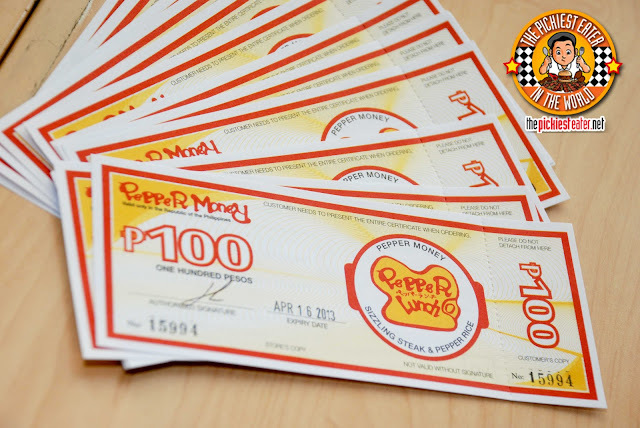 THE PICKIEST EATER IN THE WORLD: THE PICKIEST EATER'S ANNIVERSARY GIVEAWAY #3: PEPPER LUNCH !!! THE PICKIEST EATER'S ANNIVERSARY GIVEAWAY #3: PEPPER LUNCH !!! So there I was.. Staring at my computer screen, wondering what I could do for the blog's next giveaweay.. I was running out of ideas (Rina wasn't impressed with my Gardenia Loaf of bread Giveaway idea) and out of nowhere, I got an email that made me totally LOSE MY MIND. 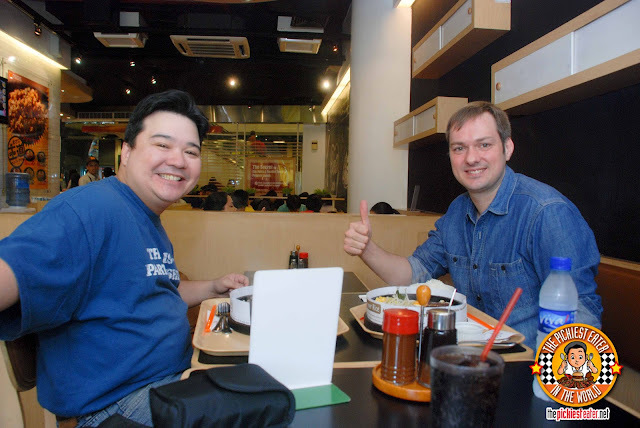 A man by the name of Mr. Jeroen Van Straten, came across my blog and saw I was hosting a giveaway and asked if I was interested in collaborating with the restaurant chain that he runs here in the Philippines..
"I'm going. ", she said bluntly. I replied, "But what about Baby-.."
"I'm going. ", she snapped back. 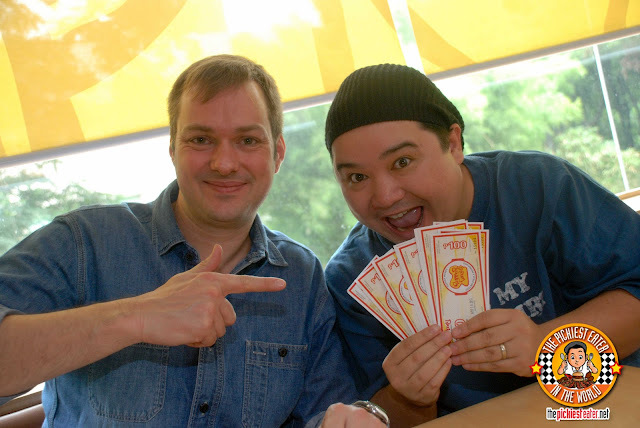 Fan Girl Rina got to meet her "idol" and got some Pepper money of her own! Ever since our blog started, she has always left the choosing of the restaurant we visit to me. However, she gets Pepper Lunch cravings every now and then, and when she does, It won't matter what I suggest. Pepper Lunch is perhaps, her favorite restaurant. So an opportunity to meet the source of her sizzling addiction was too good to pass up. If you've seen my first Pepper Lunch entry, you'll know that its clear that we've been to Pepper Lunch a lot. 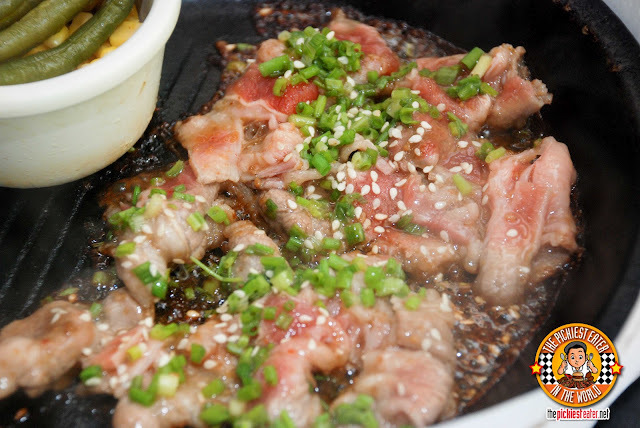 Even then, we couldn't resist trying some of the newer items of their menu..
Rina FINALLY consented to trying something new for a change, and instantly fell in love with the Beef Yakiniku. Beautiful thinly sliced cuts of beef, sprinkled with sesame seeds and spring onions, and bathed in a shallow pool of Japanese Yakiniku sauce. Which was paired perfectly with their mixed Pepper Rice! I tried the Jumbo Garlic Pepper Beef for the first time (they had me at "Jumbo"), which was a bit similar to the Pepper Beef Rice, except with an extra helping of toasted garlic on the rice, and finely minced garlic bits on the raw beef. The beauty of this dish is when your meat is being cooked on the sizzling plate, the garlic infuses it with more flavor, adding a lot more punch to the dish. I added a side order of egg for a light touch of creaminess. Pretty awesome don't ya think? 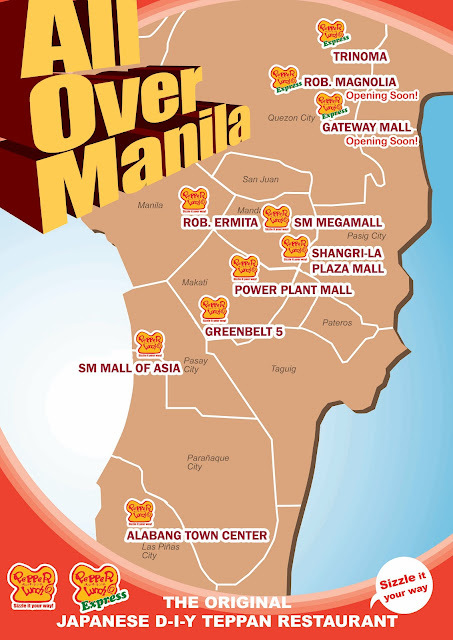 2) Like the PEPPER LUNCH PHILIPPINES page on Facebook. 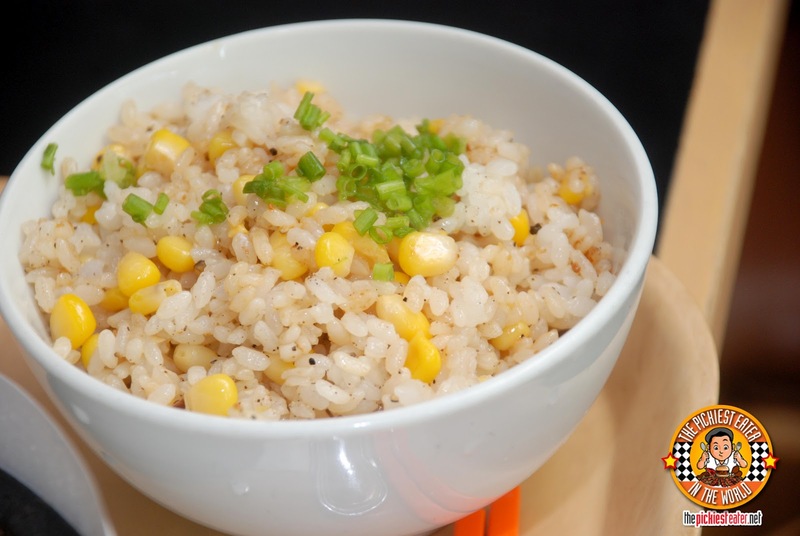 - In the box, type "I want to sizzle it my way, so i'm joining Pepper Lunch Philippines & @The Pickiest Eater In The World GIVEAWAY #3!" Then tag two friends. In order to tag your friends as well as both Pepper Lunch Philippines and the Pickiest Eater Facebook Page, please don't forget to type the "@" sign before their names so their profile names become clickable for a tag via the drop down selection.
" 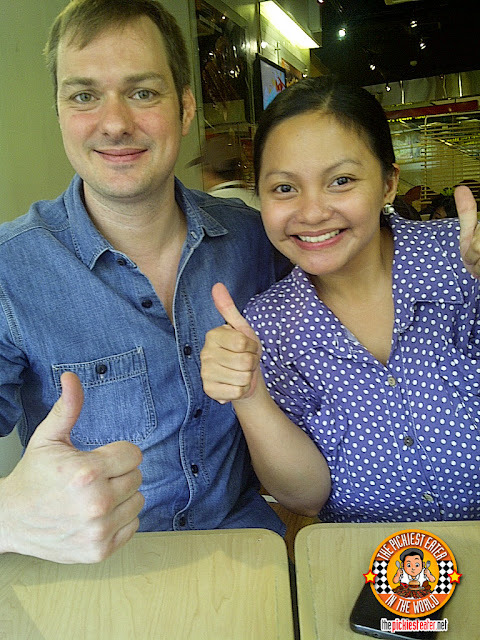 I want to sizzle it my way so I'm Joining Pepper Lunch Philippines & The Pickiest Eater In The World ANNIVERSARY GIVEAWAY #3 Kevin Bacon Francis Bacon"
4) Add @PepperPhil on Twitter! 5) Share the Tweet: " I want to sizzle it my way so im joining @PepperPhil & @TheRealRichieZ ANNIVERSARY GIVEAWAY #3 #ThePickiestEaterGiveaway "
Please take note that Pepper Lunch has eight branches scattered all over Metro Manila, and two more along the way! 8) The contest starts today, June 25,2012 and ends on July 15, 2012. The winner will be notified through email and will be announced on July 16 here in my blog, The Pickiest Eater Facebook page and Twitter account. The GC's were given to me by Mr. Jeroen Van Straten, specifically for my Anniversary Giveaway. I am not affiliated with Pepper Lunch in anyway, except that their Pepper Beef Rice has saved me on more than one occasion when I'm in trouble with Rina. Good luck Joan! always present ka sa mga giveaways ko, so thank you very much for the support!! Question: do we still have to post our name, email and the link here in the comments section? ...because it doesn't say that anymore in your latest instructions here in this post. thanks! If you want to just to be sure, you can.. Considering your wife is one of the top bloggers in the country, I thought you'd be used to it by now! congrats and more power Sir Rich and to "the Pickiest Eater in the Whole World"! hope to win one in all your giveaways!!! I love your blog as much as I love food! It truly warms my heart to hear that, Adelle! Good luck! hi richie z how can i know the url of my post of your contest on facebook? 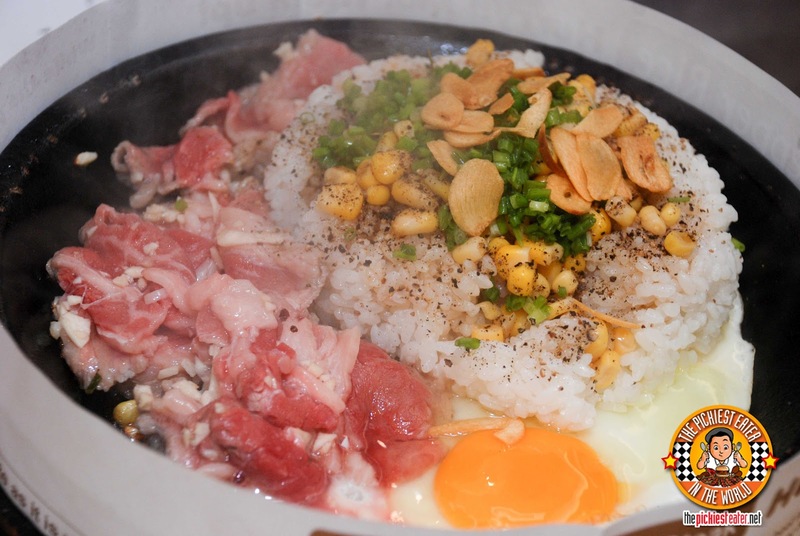 I so love Beef Pepper Rice too..
Everytime I get the opportunity to eat at Pepper Lunch, that's the one I order.. I just hope I win..haha, and if luck comes my way, it'd be the first time I win in a contest, or the like.. Fingers Crossed :) Birthday gift nah!hehehe.. If only thats how math really worked, I wouldn't have had to go to Summer school in trigonometry during my high school junior year! hi, joined your contest. happy anniversary to your awesome blog. cheers to more awesomeness! Thank you Aldrin! best of luck to you in the giveaway! you must immediately rectify that, Sumi!!! Thanks Yani!! Best of luck to you! I gotta admit, even I got hungry when I was writing it! URL links submitted to Rafflecopter. Thank you My Mom Friday! :) Thank you!! More power to your blog and happy anniversary! Thanks so much ThePinkMargarita!! best of luck! Thanks Berylle! See you on Sunday! Thank you everyone that joined! awesome! I love pepper lunch!